D.B. Gardens - Garden Services based in Sidcup, Kent. 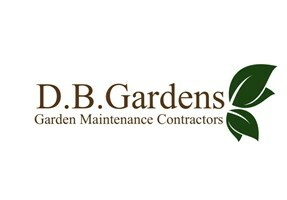 DB Gardens is a family garden & Landscape Maintenance company. That offers free advise on your garden & free garden after care. We are a responsible waste carrier with the environment agency and we treat every garden as if it’s our own. We are proud to have Clients that have won local awards for their gardens. Our vision is to be attentive, affordable, knowledgeable, approachable. To be the first point of contact for advice and support on any garden or grounds. We are a garden Maintenance company that genuinely cares for clients well being as well as their gardens. DB Gardens wants to serve our community and to build positive long lasting relastionships with others through gardening. DB Gardens aim is to cultivate and preserve our clients gardens to a level that suits their bespoke requirements. We strongly encourage our clients after the completed or ongoing maintenance to utilise their garden in the best possible way For them selves and for their family. Being in our gardens helped our family create so many unforgettable memories. It helped us to communicate, be responsible, to be patient and to take care in what ever we do. we want to continue this by passing our love of our family garden to you family’s garden.